Islamaphobe @Kamikaze_98 Fail Doxes Liberal as an "Iranian National"
The deAviles brothers were doxed because they like to make cartoons of certain people, especially one who lives in Berlin. Doxing them as "Iranian Nationals" is an attempt to get other Nut Jobs to harass them and shut them up. 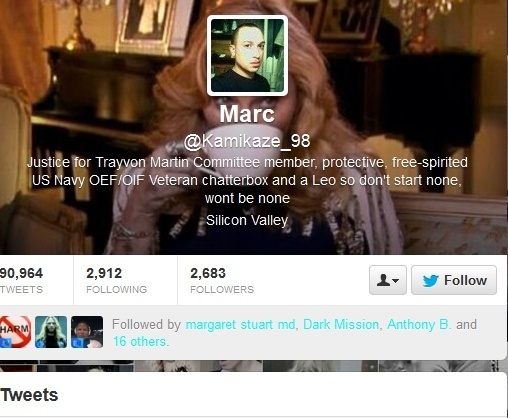 I hope @Kamikaze_98 isn't actually a real Vet, his bigotry is a disgrace to the United States. He got the Kamikaze part right, I expect the account won't last long. There are no circumstances ever where being a racist makes you right. Re: Islamaphobe @Kamikaze_98 Fail Doxes Liberal as an "Iranian National"